Bhupalgad is situated in Khanapur taluka of Sangli district. Banur is the base village and hence,the fort is also known as Banurgad. This Fort has a huge circumference. There are approximately 700 feet tall cliffs on east and north side of the fort. However, on the west side the fort is not very tall. Banur Village which is a part of the fort is located on the west side. It is also possible to reach the Fort by road. 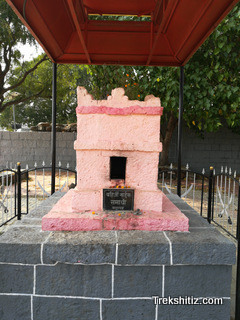 Bhupalgad was located at the border of Hindavi Swarajya during Shivaji era. The historical documents indicate that Firangoji Narsala was a castellan of the fort. Sambhaji Maharaj joined Mughals in 1679. The Mughal Courtian, Dilerkhan, along with Sambhaji Maharaj went to capture Bhupalgad. Considering Sambhaji to be the Prince of Hindavi Swarajya, Firangoji did not fight against him and fled to Panhalgad to join Shivaji Maharaj. After the fort was captured, Dilerkhan ordered to ampute the hands and legs of the Maratha soldiers on the fort. This incident distressed Sambhaji who after clever intervention from Shivaji Maharaj returned back to Hindavi Swarajya. The Cisterns have potable water and is available throughout the year.